Bust a move! Darrin Henson, choreographer to the stars, teaches you the moves he designed for J. Lo, Britney Spears, 'N Sync, Christina Aguilera and more. With a small group of dancers following his lead, Darrin shows you, step by step, some of the moves your favorite pop stars perform in their videos. 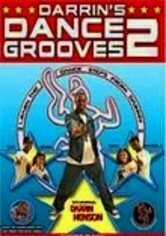 Sponsored by MTV, Darrin's Dance Grooves provides hours of fun and exercise!